Situated only 5 km from the city Berovo, Wip Hotel Berovo offers stylishly furnished accommodation with modern design. 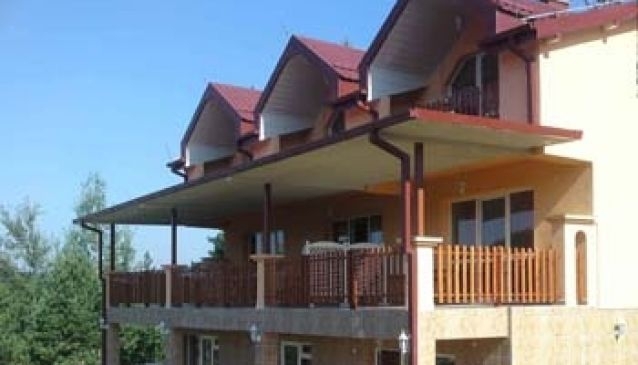 Each room is fully equipped with kitchen and bathroom facilities, TV and spacious terrace where you can witness and enjoy one of the loveliest forests in Macedonia. Well known for its superb position, Wip Hotel is an ideal place for a family vacation as it provides beautiful green meadows where children can play and breathe fresh air, or a romantic weekend with cosy and intimate atmosphere. Its guests can enjoy in the daily picnics, fishing in the lake, or simply relax in the cosines and comfort of the hotel. The professional service and warm hospitality will make your stay pleasant and comfortable.